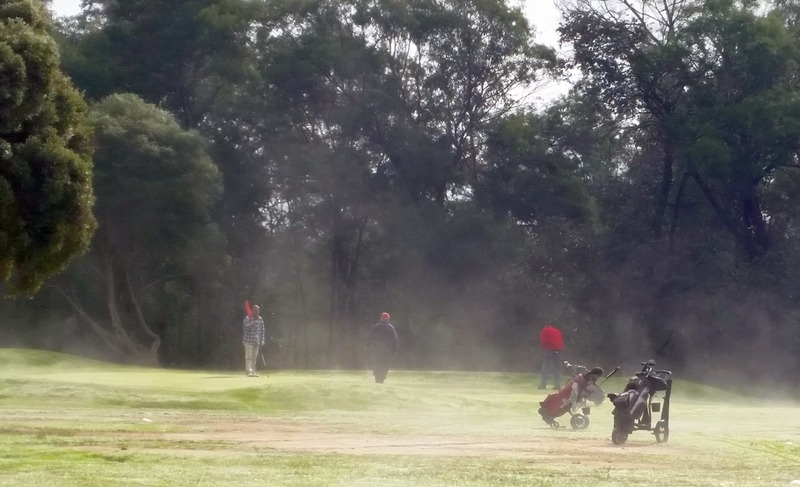 Neil, Mick & John on the 13th as the fog rises. Ten players braved the zero degree start to today’s Stableford event. 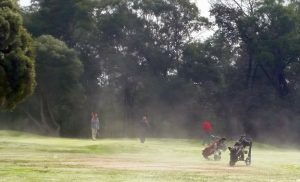 Neil Peterson, who has been runner up on countback a few times recently, emerged from the fog and won the event narrowly with 33 creditable points from John Tanner 32 Points. A huge thankyou to Ross Girdwood for his work spraying the fairways (and rough!) for capeweed! 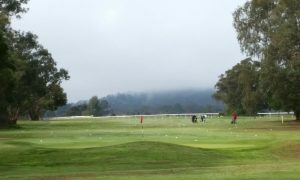 The newly sprayed 13th Fairway looks a picture – despite the low hanging fog today Ladies rugged up for this morning’s event. Di Elliot carded 33pts to win from Cheryl Roberts on 31 Points. To the man who sits on the tractor and wears a Carlton Draught cap……… It’s actually Glysophate that we spray;not Glucosamine! !